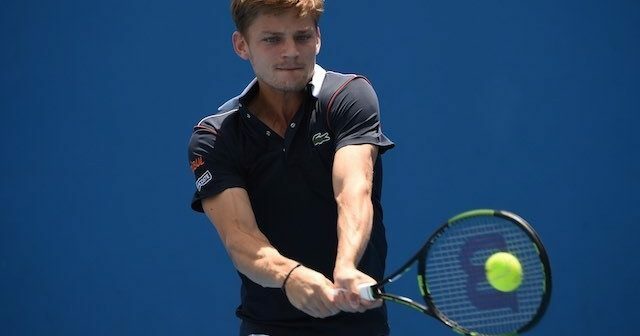 Talking about Wilson Blades, you can not not mention young up-and-comer David Goffin who had a breakthrough year in 2016 and is currently at number 11 in the ATP World Tour rankings. Goffin, like Raonic, is using a pro stock version of a Wilson Blade (not the popular pro stocks labelled H19/H22) and strings it with a full bed of Luxilon Alu Power . Goffin is not a muscular guy, but is fast on his feet, great at defensive and can hit with power of both wings (although he can’t kill the ball like Kyrgios). He plays a similar style to Alexander Zverev and is definitely one of the guys to look out for in 2017. Sadly, I don’t exactly what customization Goffin does to his Blades , but even though some speculate he doesn’t do any customization at all, I don’t think that’s the case. Most tennis pros play with pretty high swing weights and I think Goffin does too.